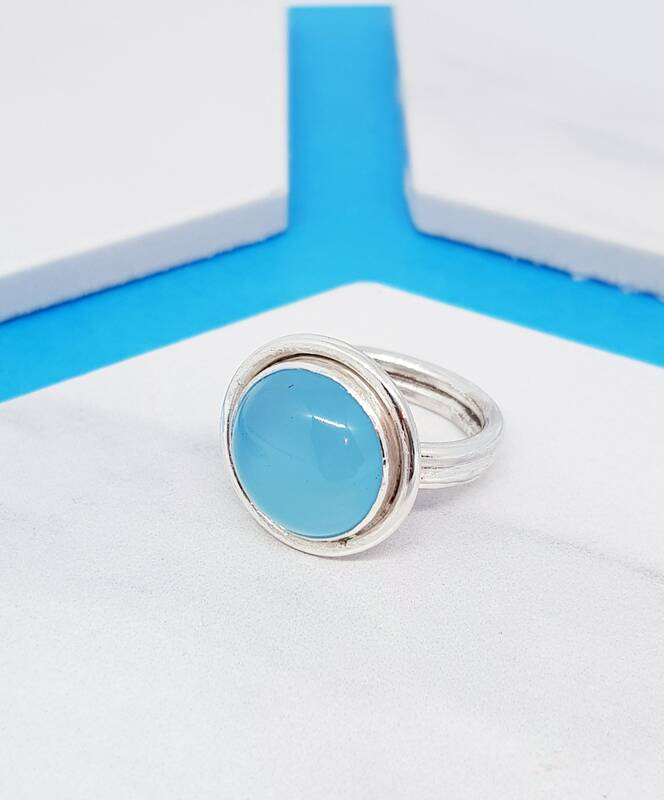 A statement sterling silver ring with a blue chalcedony gemstone. The round cabochon measures 14 mm and is mounted on two bands of 1.5 mm round wire. The cabochon is mounted in a bezel surrounded by a ring of silver wire to add strength and substance to the ring. Available in a polished or satin finish. The ring is made to order in the size requested and will be delivered hallmarked.